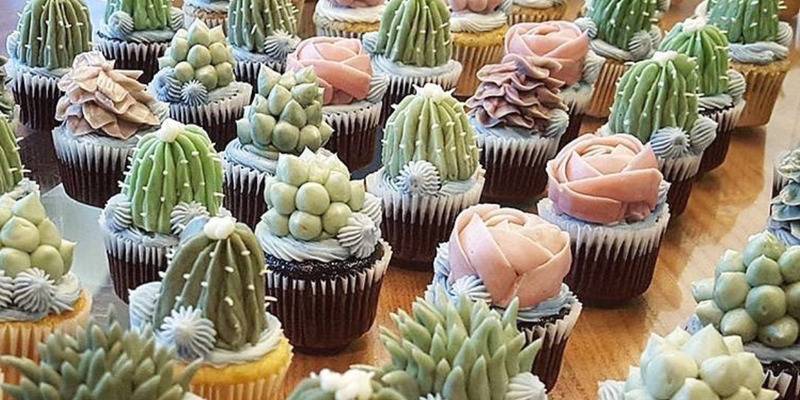 Are you wondering why no nobody in New York has offered a holiday cupcake party with a cactus and succulent theme? Cupcake Decorating Workshop by The Sill has you covered, if you are available and in New York next Tuesday only. Nice! I wonder if they teach you how to make delicious cupcakes, or just how to decorate any old cupcake. You will learn how to decorate cupcakes like a pro. OK! No good cupcakes, only decorative frostings. I mean, I assume they don’t prevent you from using delicious cupcakes, but it’s hard to say for sure. And what if you’re a beginner…. This class will be good for beginners who want to explore their interest, and for semi-professionals who want to develop new skills in buttercream design. The corpse flower (Amorphophallus titanum), also known as the stinky plant or titan arum, is on display at the United States Botanic Garden Conservatory in Washington, DC. Once fully open, the titan arum may remain in bloom for 24 to 48 hours, and then it will collapse quickly. Another picture of a Parodia nivosa in bloom. So much pretty. And a bonus photo! Of a perfect fall day in Central Park in New York. Nice! Seems a little close to the pedestrians! The Agave; It Broke Through! The Frustrated Gardener shows you the heartbreak of the Agave bloom. It may not have actually broken the glass on its way out, but close enough! A specimen of Agave americana, moved from a nearby properly about 40 years ago, has formed an enormous 30ft tall flower spike which is now blossoming. This has necessitated the removal of a handful of glass panes to allow the enormous stalk through, so as not to damage the rest of the historic structure. The result is quite breathtaking and has been drawing crowds from near and far. Drawing crowds! From all over the Isles I am sure. Click through for more pictures and the whole story. It’s a good one! Dorena sends along these photos of the cactus and succulents of the mission at San Juan Capistrano. Giant Agave americana and a well-balanced Myrtillocactus behind. Giant white Echinopsis flower. Up close! And here is the surrounding area in the Valley. Scenic! Gorgeous giant plumeria tree (frangipani!) on the streets of Sydney, Australia! Close up bloom photo. Flowers! It must be summer. It’s Gaura lindheimeri on the streets of Sydney. Australia! Wispy, upright perennial. The stalkless leaves and flowers grow directly on the stems. White flowers with a hint of pink bloom in the spring through fall. Cut back flower stalks for repeat bloom. It’s green, it’s made in batches small enough that they dry the strips of cactus on the dashboard of their truck, and it’s entirely Carribean. But I’m here at Cadushy of Bonaire, where they make a liqueur of the same name from the Dutch Caribbean island’s Kadushi cactus, to remedy that situation. And just what is this Kadushi Cactus of Bonaire? 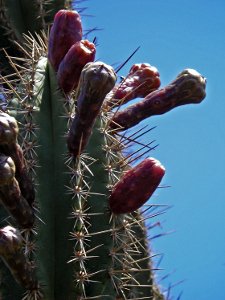 It’s the Cereus repandus which can get over 30 feet tall and has many delicious edible fruit that apparently you can distill which are known as Cactus Apples, as well as Cadushi. Hanging out in La Jolla on a beautiful November weekend? How about checking out Nicole’s beautiful succulents at the farmers market? Nice! I see she’s come up with the coffee cup carrier concept for small pots. Also nice! Any other Cactus Jungle alum selling succulents on a Sunday today? Apparently we have an Italian namesake – Cactus Jungle, Italy – and they make fabric cactuses. Very nice! Welcome to the Cactus Jungle family! Now do we get a share of their profits? It’s been an early spring here in the Bay Area, excepting yesterday and today that is. But what about Europe? It’s all available at Les Succulents Cactus. I’ve blogged about them before, but now we have a good picture of the store on JOELIX.com – a traveling friend to succulents. 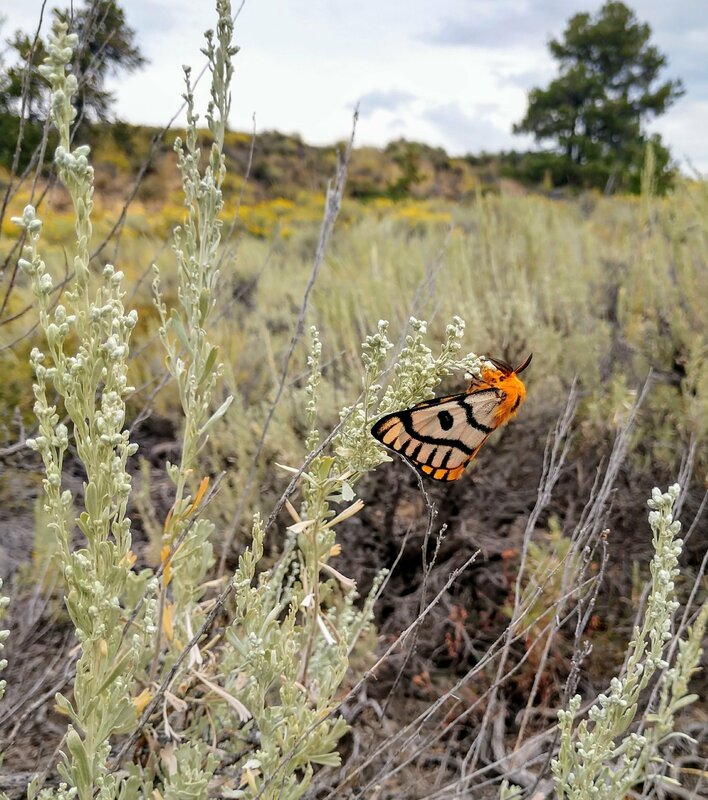 Here’s a small picture I’ve borrowed from JOELIX to entice you to click through to see all the pictures of the Cactus in Paris. The store as seen in these pictures is reminiscent of the late and lamented Red Desert cactus store in San Francisco up to about 12 years ago. Then they closed. Now you can go to Paris instead. Are succulent events coming to your hometown? Maybe. Debra Lee Baldwin is traveling this spring, and maybe she’ll be coming to your hometown. And then you can have a wonderfully succulent spring time in your hometown. But not otherwise. Here’s where and when I’ll give presentations. If your city’s on the list, please save the date! I’ll be signing all three of my books (including the new one, Succulents Simplified) at all events.If you enjoyed one of my presentations, I’d be grateful if you’d post a comment on the Great Garden Speakers website. Many thanks! That’s a lot of California hometowns, including two in the Bay Area, so you know you should all move out here to California. Pam Penick’s Digging found a strange steel planter in Austin with an overgrown agave hanging off it. It’s a very interesting sight! I do love a nice squid agave (A. bracteosa), and steel planters rock. This one is meant to be an address marker, however, and the squid has simply grown too large, obscuring the numbers. Click through for the pictures. Danger Garden visited the Ruth Bancroft Garden in Walnut Creek and a lot of photos were taken. How many? I had no idea I took over a hundred photographs that day. The garden is just that inspiring. Click through for all the sunny succulents in all their sunny glory. As seen by Danger Garden of course. There were Yuccas and Agaves in bloom. If you don’t want to click through to see all the pictures, then get yourself over to the gardens and see them in person. Something called NWA Online has an important message for its readers. What’s to love: Succulent plants are rather trendy at the moment. Indeed! Thank you, NWA Online. Now we know. And if you were wondering, NWA stands for North West Arkansas. It is a group of local newspapers from the NWA region. A nice region! A beautiful region! While walking with my family down by the south east end of the Lagoon in Carlsbad Agua Hedionda and my youngest son was attacked by what is known as jumping cactus. Having grown up here in Carlsbad and hiked that whole area since I was young I’ve never seen such a cactus. It was vicious to dislodge from his leg…. Although it’s not the largest saguaro ever discovered, the colossal specimen along the Dutchman’s Trail in the Superstition Wilderness is a commanding presence. Balancing a massive, Medusa-like crown of spiny arms and isolated in a landscape where neighboring saguaros sport more modest profiles, this impressive plant grabs the spotlight. And then there’s the whole location and hike and map and description information so you too can go and see this mountainous cactus before its gone. Apparently a local Landscape firm in Austin, TX has now opened a Succulent Store. If an alien race were to land in Austin for the purpose of surveying our dynamic with our natural world, they might surmise that Austinites in particular have a symbiotic relationship with succulents, as it appears nearly no stylish home or business can be caught without a sweet succulent adorning a corner, tabletop, window sill or bedside table…. Austin residents have a recent reason to rejoice (whether you love succulents or not): Austin landscape design + build firm Big Red Sun has reopened their nursery… at 1311 E. Cesar Chavez St. at Navasota. Nice frontage. I’ll check them out next time I’m in Austin. It’s been a few years. Danger Garden has lots of pictures of The Vercler Castle in winter. Cold, and scenic. Of course, it’s more a ramshackle brick house than a castle, but that’s part of its charm! This year’s Christmas cactus from the family is an Opuntia from Palm Springs. And it’s a magnet too. So flexible, so useful. And for effect, our last few Succulent Wreaths in the California Sunshine before the Christmas Break. Get great ideas by looking at the amazing exhibits during the Succulent Show to be held from 10 a.m. – 5 p.m. daily, from Saturday, Sept. 7 – Sunday, Oct. 6 at the Botanical Gardens, 2655 South Park Ave. in Buffalo. That’s a long time for the show to be up, so you still have time to get out and enjoy the Buffalo fall weather, which is currently 55F and raining. Some of the exhibits, such as an entire woman created out of succulents, might be beyond the skills of the average gardener. Euphorbia in Harvard Square across from Lizzie’s Ice Cream. It was delicious. And the Euphorbia is nice too. I hope they bring it in for winter. It gets cold in the Northeast. Tokyo DIY Gardening has discovered an amazing little Peanut Cactus (Echinopsis chamaecereus) clinging to the pavement. Volunteer Cactus in Akishima, Tokyo.